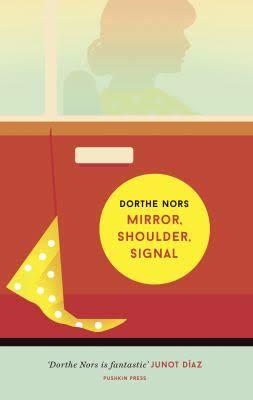 This entry was posted on March 23, 2017 at 8:53 pm and is filed under Dorthe Nors, Man Booker International Prize 2017. You can follow any responses to this entry through the RSS 2.0 feed. You can leave a response, or trackback from your own site. Hmmmm, your review makes me think of the Man Booker Prize contender, Eileen, by Moshfegh. It was a strange book, with an unlikely heroine; a bit lost, a bit lonely. I haven’t read this one, but I feel less inclined to praise it now that I’ve read your thoughts. It’s good to be on an objective jury panel with you and the others. Though I’m only on my sixth book, it does seem to be both a strong and diverse list this year. I’m not sure about this either to be honest, especially given your closing comments about the style and lack of depth. It’s so useful to see the quotes as they definitely support your comments. I wonder if this is the type of book that will divide readers? I think it will, though I suspect it has more depth to it than might at first appear. I was referring more to the fact that short novels by women are often dismissed in this way. That actually sounds rather good. I’ve never much liked the minor/major categories, but I do find that a well executed “minor” novel is often more rewarding than the majors. Less tiring, less noisy. I haven’t read her short collection yet though so I should probably look at that first. I like the sound of this one very much. I understood your closing comment rather as criticism of the jury, not the book. I think sometimes ‘lighter’ books, especially those by women, can be judged unduly harshly in comparison to books which are overtly ‘serious’.